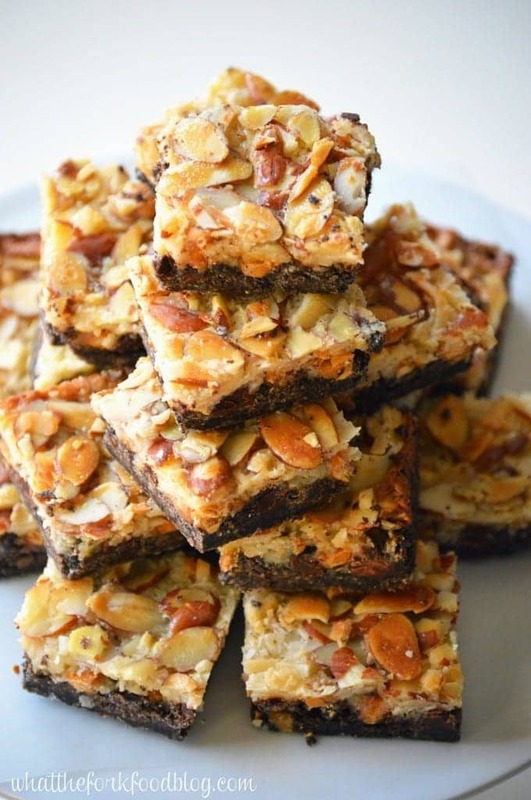 Gluten Free Magic Cookie Bars made with a chocolate cookie crust. 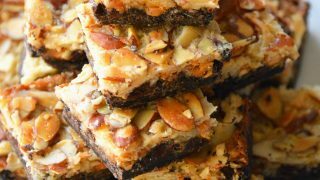 Also known as Seven Layer Bars or Hello Dollies, these bar cookies are a crowd pleaser. Before Christmas, I promised you some Magic Cookie Bars and I just could not deliver. Every year there seems to be less time before Christmas and this year was no exception. So much to do, so little time. Throw in a couple of kids and 4 Christmas parties in 5 days and you’ve got yourself a jam packed holiday. I was on a mission this year to get all my holiday baking done early, that didn’t happen either. I got a few things done ahead of time but, of course, I left the rest until the day before I needed to deliver all my cookies, fudge and quick breads. Oops. Maybe one day I’ll actually stop procrastinating. Or get my sht together. Maybe.. Please tell me I’m not alone on that though! BUT finally, here are the gluten free magic cookie bars I promised, in all their magic cookie bar glory. Better late than never, right? RIGHT. One thing that sets these magic cookie bars apart is the crust. 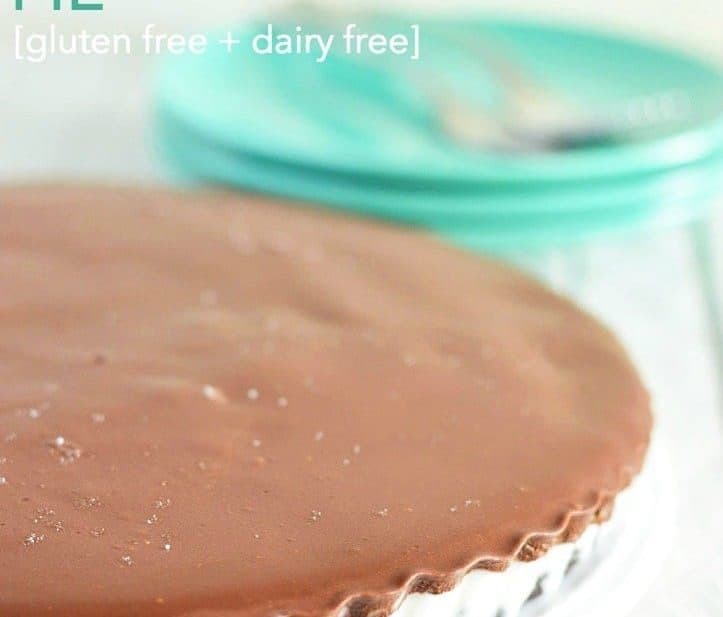 Instead of an all graham cracker crust, these ones are made with gluten free chocolate sandwich cookie crumbs. So. Good. 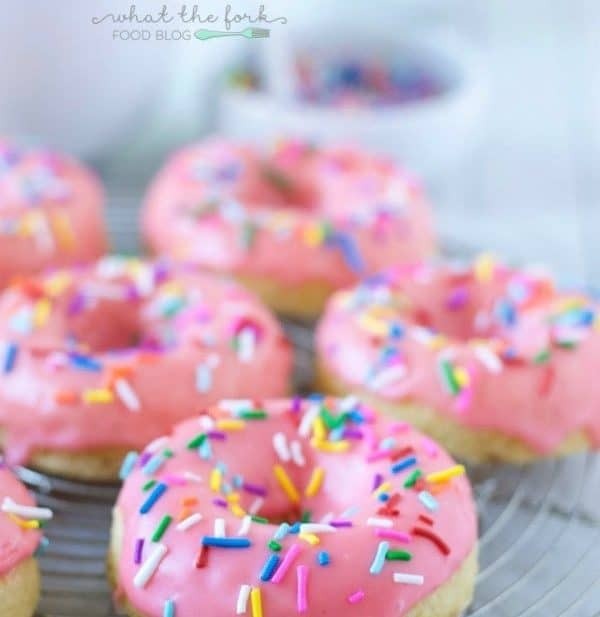 If you really need to go full-classic with these, just use gluten free graham cracker crumbs instead. They just won’t be quite the same. More chocolate = mo’better. Since it may be too late to package these up for Christmas gifts this year, bring them to your New Years parties 😉 Enjoy! Preheat oven to 350 degrees and spray a 9x13in baking pan with non-stick spray. Line with parchment paper and then spray the top of the paper with more non-stick spray. In a medium bowl combine the chocolate sandwich cookie crumbs, graham cracker crumbs and butter. Mix until combined. Transfer mixture to the prepared pan and evenly spread across the bottom of the pan, pressing to down with your hand. 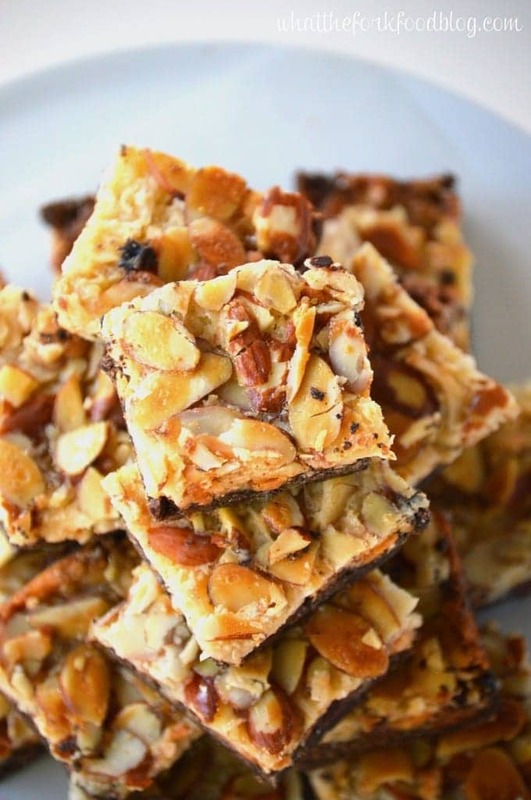 Top with (in this order) chocolate chips, butterscotch chips, coconut, almonds and sweetened condensed milk. Bake at 350 degrees for 30-35 minutes. Cool to room temperature and then refrigerate at least 2 hours before cutting. Cut into squares and serve. If not using gluten-free cookie crumbs, I use 1 package of Double Stuff Oreo cookie crumbs and omit the graham cracker crumbs. These magic cookie bars freeze very well. lol that’s the way to do it! 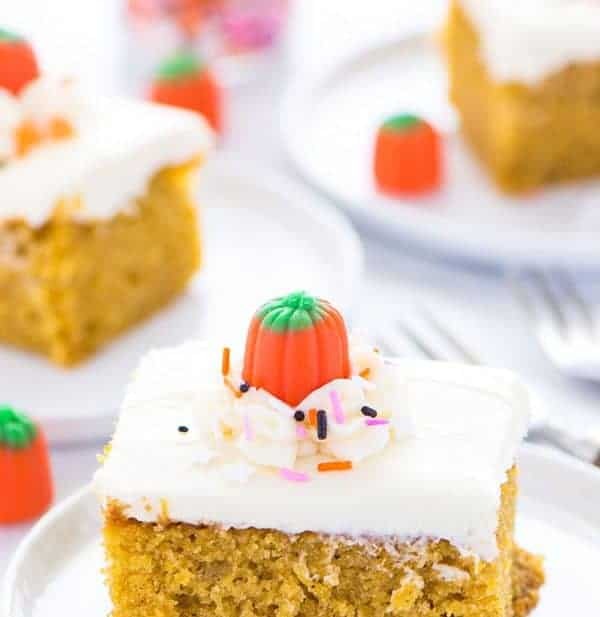 The topping on these bars looks amazing! These bars look beyond incredible, Sharon! Love the use of almonds! These bars do truly look magical! I can’t believe they are gluten free! Thanks Kelly! If someone ate them and nobody told them, they’d have no idea! These bars look irresistible! I love the crunchy nut topping! AH, procrastination is my middle name! I’m a little better with it than I was but I still have an issue with it so I totally know where you are coming from. Glad you got around to sharing these bars because they look SO good! Great recipe, Sharon! WoW!! Frist seen i feel so hungry. Serving them to a nut free child – what could I sub in for almonds? Hi Karen, feel free to leave the nuts out! 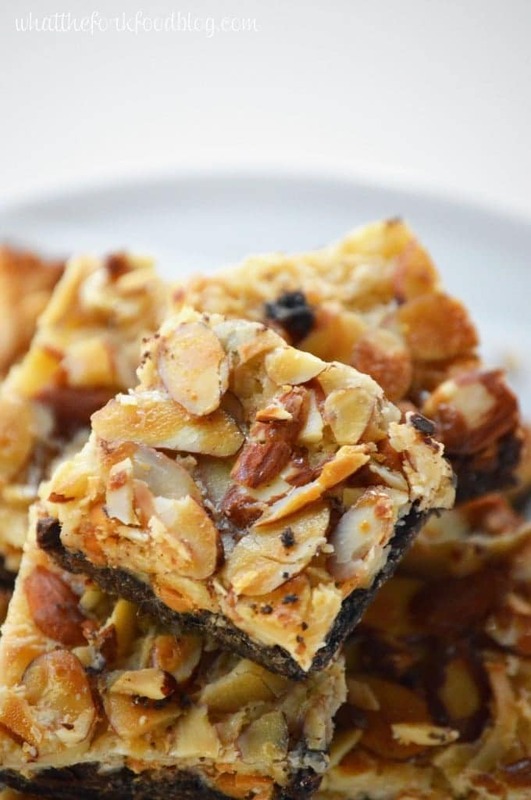 If you feel like they’re missing something, you could add some white chocolate chips (though I wouldn’t do the full amount of the almonds, just a sprinkling).